Actually, I have been waiting for a slower moment to truly ponder who it is in my blogging community that makes me think. Being the deep pondering sort, this could not be a quick decision. And finally, here it is. Jeff Adams’ Blog He is my pastor, and a good one at that. Although I doubt he will pass on this award, I could not leave this great thinker out. Shanan Trail I’ve been reading Julie’s blog since she began blogging and have enjoyed it from day 1. She is a deep thinker and an excellent writer with worthy topics. I’m sure she has already received this award, but not yet from me. Yielded Heart I am drawn to our many common goals. She pushes me on in new directions as we both explore our relationships with God and homeschooling. homeschooling diva Amber refreshes me with her revelations and I am drawn to her desire to maintain that Sabbath rest. One great Amberism: Find the Quiet today! Salt This blog is very new. 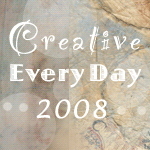 It is a creative arts challenge blog. How can I add it to my Thinking Blogger Award list when it is so new and so nonverbal? 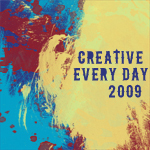 Why it made me think of awesome ways to creatively praise my God. The combined thoughtfulness of the contributors deserves an award. Be sure to check out their individual blogs as well. Besides the new Salt blog, these other blogs have become staples in my life. Enjoy! Coming from you- it’s an honor! Thanks! I can’t wait to check these out! Your cloth napkin stories sound wonderful! I’ve ALWAYS wanted them and just never splurged to BUY them. Maybe I’ll make some from what I’ve got around here…. (((((HUGS))))) sandi~wondering if my darling will actually take cloth grocery bags to the store~LOL! Thank you for nominating me for this award… I blog because it forces me to clarify and articulate my thoughts. It grows me and… I am glad to know that it blesses you! Thanks, Amanda! I am humbled and honored that you would consider that I make you think! After almost two weeks of chronicling my journey through Europe with 34 college students, I haven’t been able to post much “thinking” material lately, but hope to get back to “normal” this week.